Diageo Reserve World Class to grace the India champion Alfonso Del Portillo’s voyage presented an exclusive evening for bloggers in the competition. Last month, Portillo edged his competitors and shook the judges with his swiftness, flawless execution and stable cocktails in Mumbai at the India finals to transpire as the India Bartender of the Year. To live over this enthralling experience, Bangalore’s Drinks on MG Road was the perfect setting for a special master class where Alfonso demonstrated his winning confections – Mayor of London, Botanical Heritage, and Atlantic Martini. A curative interactive session by Nicholas Ord, Reserve Brand Ambassador India with Alfonso Del Portillo followed by a pleasant flavor trial with delectable signature cocktails, along with mouthwatering delicacies made the event graceful. Alfonso turned on the power packed evening with Atlantic Martini prepared using the Talisker, Tanqueray No Ten, orange, grapefruit powder and served in an elegant coupette. Followed by Mayor of London a concoction made of Ron Zacapa, orange blossom water, grapefruit bitters served in an old-fashioned glass, garnished with a dried apricot. A unique CIROC vodka cocktail concluded the event; Botanical Heritage was served in a Chai tea clay pot. It was impregnated with tomatoes, green apples, chardonnay syrup, basil, and a dash of Licorice syrup. The classic Johnnie Walker Gold Label Reserve cocktail prepared by Nicholas surprised the guests as it was presented in the Diageo Reserve World Class 2013 finale. He prepared the Golden Flip (Created by Theodoros Pirillos who represented Greece at the Diageo Reserve World Class Bartender of the Year final, 2013) which is a delectably creamy and sweet creation. The Golden Flip is a rich composition of tahini infused Johnnie Walker Gold Label Reserve, and Greek wildflower honey, a spritz of orange zest, and a dash of apricot brandy. During the gathering, Alfonso shared few unique insights into the hard World Class programme, training under World Class experts and provided prime tips on the creativity of cocktail-making blending with latest industry trends. The session was engaging and interactive allowing everyone to appreciate the fine-drinking experience. While drinking these cocktails, the mouthwatering Veg starters like Vegetable Balls in BBQ Sauce, Spinach Ans Ricotta Hot Pockets and Vegetable Tempura with Wasabi Mayo Dip were served and those are just amazing just like the below drinks. There were Non Veg Starters too! Botonical Heritage – “Botanical Heritage” is influenced by Alfonso’s Mediterranean heritage. Mix-up the apple in the metal part of the shaker and add all the ingredients into the shaker & shake them thoroughly. Then strain the mixture twice and serve it in a Chai Kullad. To a wooden board add Talisker No. Ten and heat it and add the grapefruit & orange powder. Following pour the drink in a coupette glass and it’s ready to serve. Add all of the above mentioned ingredients into the shaker and shake them thoroughly and then strain the mixture and serve it in an old fashioned glass after garnishing it using a dried apricot. Diageo Reserve WORLD CLASS is transmuting fine drinking experiences and cocktail culture round the world and in the home. The business’s prime, most trustworthy investment in the luxury on trade, it discovers the next generation of bartending aptitude who set the modern mixology trends and bring these to the best bars worldwide. At the core is an outstanding, global training program and internationally recognized platform that elevates the craft of the bartender and builds careers in the industry culminating in an annual luxury landmark week where the Diageo Reserve WORLD CLASS Bartender of the Year is announced. Launched in 2009, over 15,000 bartenders have been inspired and educated in the craft of mixology using the finest spirits in the Diageo Reserve collection. A partnership and collaboration with gurus, media, partners and owners, Diageo Reserve WORLD CLASS is widely recognized as a mark of sophistication and distinction of international fine drinking culture by bartenders and customers alike. 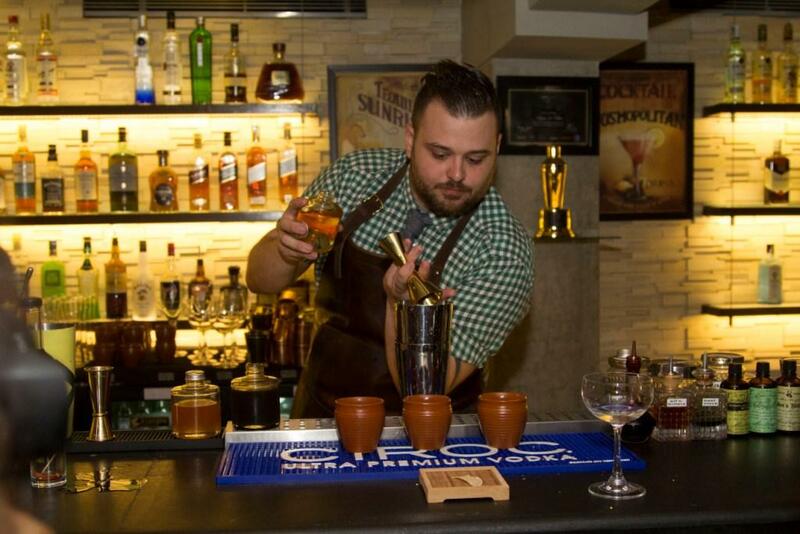 The Diageo Bar Academy Program reinforces the company’s commitment to the bartending community. Since launching the program in 2006, more than 5,500 training sessions have been hosted with over 55,000 bartenders trained. The acclaimed program takes an innovative and fresh approach to training, offering interactive and informative sessions led by the industry’s best. Alfonso will now represent India and compete with the world’s best bartenders at the Diageo Reserve World Class Global Finals, to be held in Cape Town, South Africa, in September, 2015. Next Post Café Mangii’s much-awaited Sizzler Festival is here at Orion Mall and UB City, Bengaluru.